Can I see the movie on the poster? 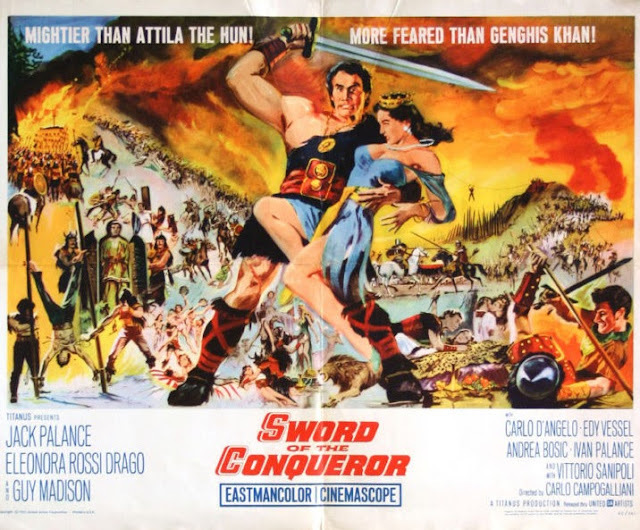 There's almost nothing on the poster that's in the film, certainly the Jack Palance image of massive shoulders and wearing such a tunic. In the film Jack is slim and is completely covered (pants, breast plate etc). See Photo of the Day above.